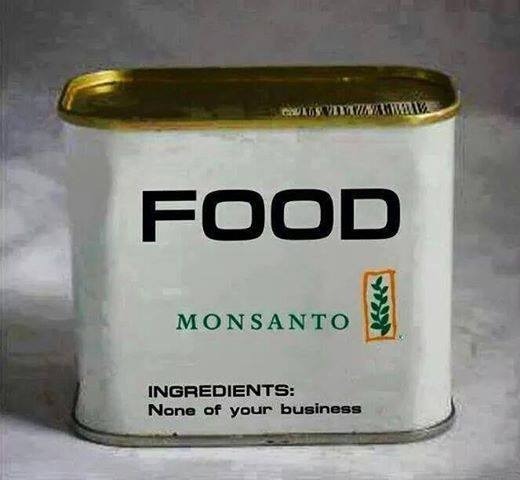 We have the right to know what is inside our food! Food Sovereignty Ghana (FSG) calls on the Ghana Food and Drugs Authority (FDA) to take all necessary measures to ensure the mandatory labelling of all genetically modified organisms (GMOs) in all food and feed in Ghana. It would be recalled that in his ruling on the case, dismissing an interlocutory injunction on the commercial release of Bt cowpea, the first of a series of GM crops in the pipeline for Ghana, Food Sovereignty Ghana & 3 ors Vs National Biosafety Committee & 4 ors, the judge, His Lordship Sir Justice Denis Agyei, stated: “The law is that GMOs should be differentiated from organic or natural cause, and should be labelled to enable consumers know the products to take an informed decision». Ruling On GMO Case: Food Sovereignty Ghana & 3 ors Vs National Biosafety Committee & 4 ors, Suit No. HRCM 43/15 29th Oct. 2015. However, the FDA, which by law is supposed enforce that such a law, if indeed it exists, is saying that “The Food and Drugs Authority and the Ghana Standards Authority through their product registration and certification schemes respectively enforce mandatory food labelling legislations in Ghana. Current labelling legislations are the Ghana Standards Board (Food, Drugs and Other Goods) General Labelling Rules, 1992, LI 1541, and GS 46: 2004 Food Technology: Labelling of Pre-Packaged Foods. These legislations have no provisions on labelling of GM food”. What we are asking for ought not to be controversial. The FDA’s own General Labelling Rules, 1992, (L. I. 1514) stipulate that food labelling be informative and accurate. Labelling of packaged and prepackaged products is for purposes of health, food safety and need to know. The minimum labelling requirements are that labelling should be clear, concise and in English. We insist that there is a need to know if the food or feed contains GMOs. Traceability and culpability leads to responsibility, responsibility leads to safety. Ghana’s agriculture does not need GMOs. All the independent experts agree. And there is no scientific consensus on the safety of GMOs. This is the position of independent scientists with expertise related to the subject, published in a reputed peer-reviewed scientific journal (see: https://t.co/PP917ONTfa). According to the FDA, “Mandatory labelling regulations require food products derived wholly or partially from GMOs to be labelled in accordance with guidelines; failure to comply with regulations attracts a penalty which is usually very hefty. 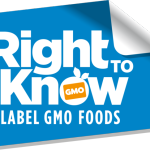 On the other hand, voluntary regulations provide guidelines for labelling foods derived from GMOs, however, the decision to label is taken by the food product manufacturer or distributor.” A voluntary labelling is thus out of the question. We demand a mandatory labelling of all food products derived wholly or partially from GMOs! And we call on the people of Ghana to join us in making this demand on the right to know what is in our food.